We are coming at you with another mini palette! (We just posted about the UD Petite Heat palette yesterday!) Viseart is releasing their new Petit Pro 2 on Friday, 2.23! 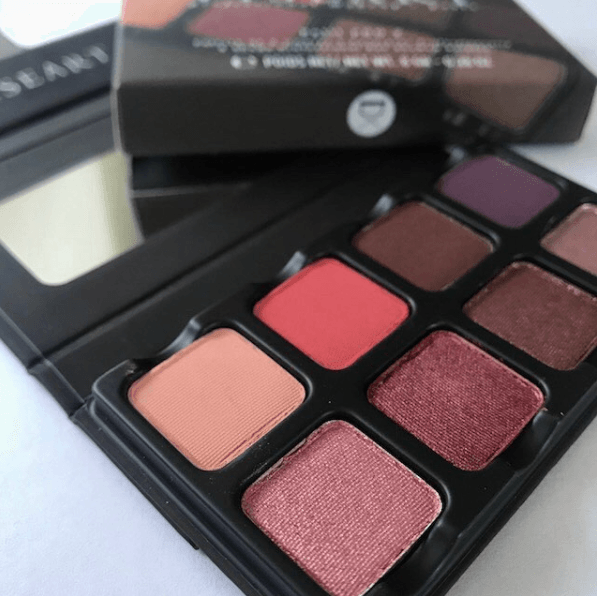 Coming off the heels of the last release of their Tryst Palette, this tiny little eight pan eye shadow palette is basically a perfect blending of their Golden Hour and Tryst palettes – congrats! They had a little baby! This will most likely cost $30 like their original Petit Pro. We hate to hate, but like, come on. We have seen this color story about 754 times before. Yes, it is a beautiful shade selection! So beautiful, that we all have it already amongst various other palettes in our collections. 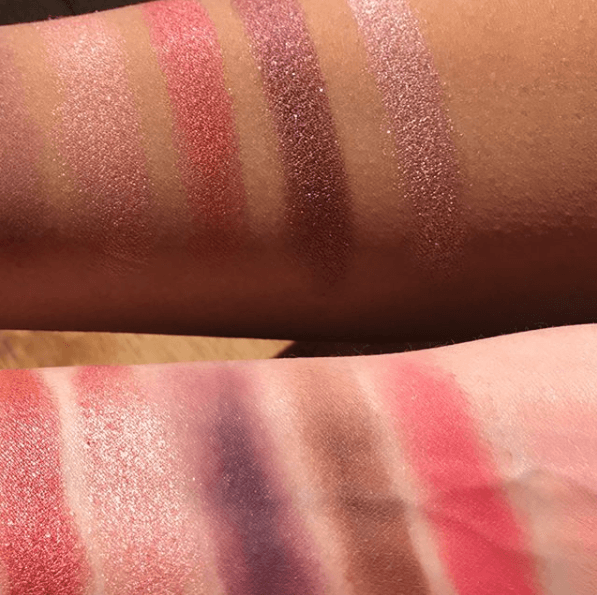 The shimmer shades look AMAZING, we have to admit. But otherwise, we kind of feel like this is super lackluster. There is just nothing special about the packaging or the shade selection or, like, anything, ya know? We can think of better ways to spend our $30. And we are wondering like, why aren’t there shade names? Are they on the back? 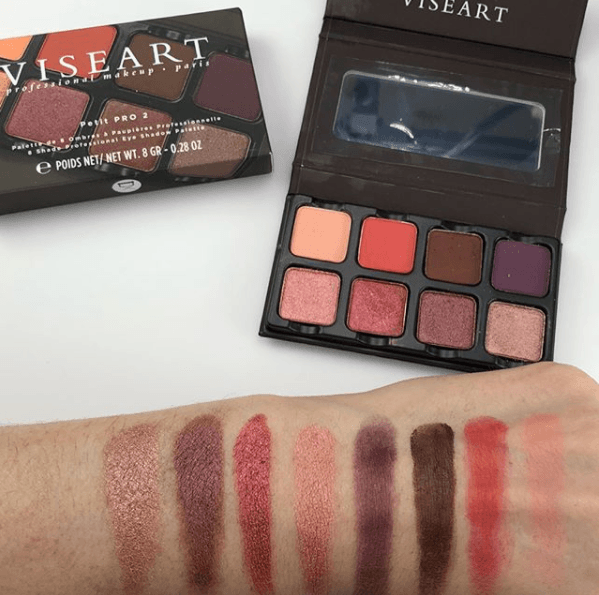 We aren’t super familiar with Viseart so fill us in if we’re missing something! I’m so glad I found your website a few months ago. It is very helpful and informative. Good work! But I have to chime in to let you know that the release of the Petite Pro 2 is special because it is Viseart! Seriously, they are some of the finest eye shadows I’ve used and I am an eye shadow palette junkie.